Note that Sandy River Car Shops is not a current supplier. 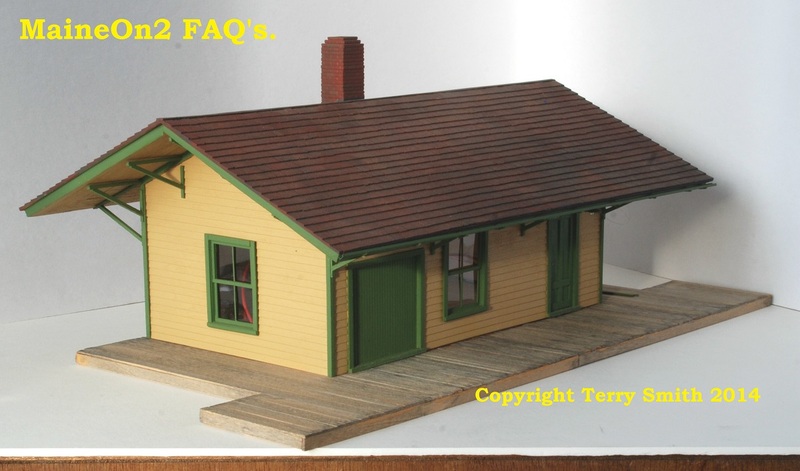 Two views of Terry Smith’s model of the Wiscasset station at Week’s Mills built from an SRCS kit, with modifications. Sandy River Car Shops was the brand name chosen by Peter Barney to market a wide range of craftsman style kits of Maine Two Foot Railroad items, in On2, HOn2 and Sn2. Sandy River Car Shops is frequently reduced to SRCS. The line was started sometime in the Spring of 1976, which coincided with the arrival of the Custom Brass SR&RL #6 locomotive. As far as we know (confirmation required) Peter Barney sold the commercial rights to SRCS and the line of kits to Steven Boothroyd of Cranberry Junction Hobbies sometime in the late 1990’s, who has since ceased advertising, but very occasionally lists items from the line on eBay. The line included both a standard range of products such as regular rolling and structure kits and other items produced as limited editions. 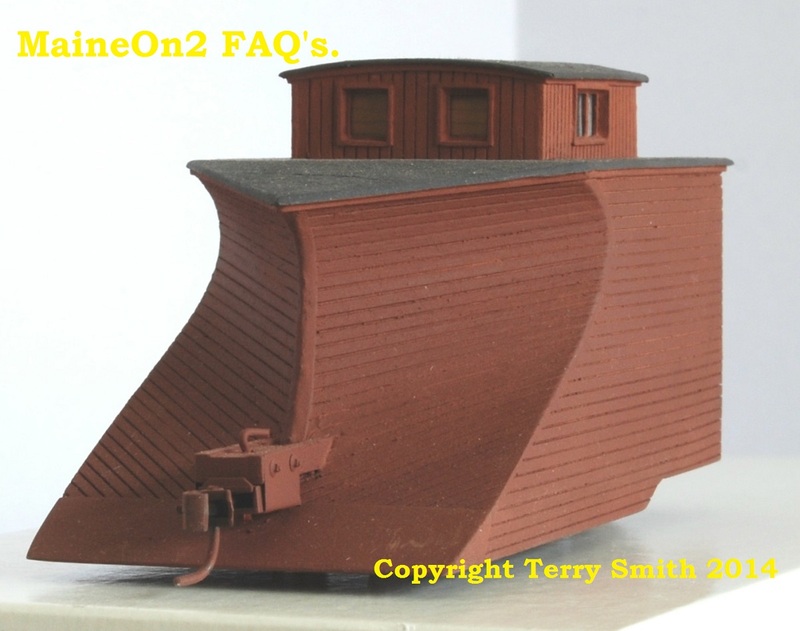 For many On2 modellers, SRCS kits provided an introduction to and the backbone of their Maine On2 modelling. Unmade kits are often traded between members of the Yahoo! groups or more openly on eBay. We hope that our readers will help to develop and flesh out this post advising us of items not shown on our list and even better sending us photographs of their completed kits to illustrate the extensive range available. 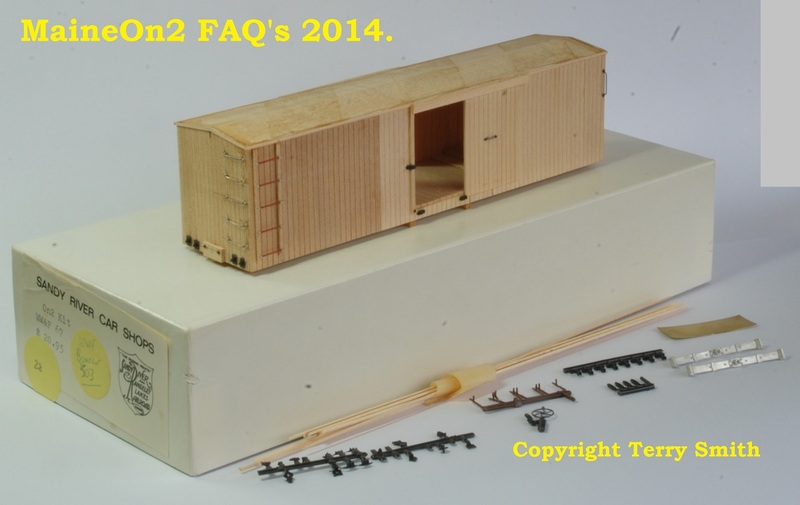 A part built view of a typical SRCS boxcar, in this case a WW&FR 28 foot boxcar from the 67 series, showing the familiar SRCS white box used for most kits plus the stripwood and hardware still to be fitted. Two pictures showing boxcars assembled from SRCS kits prior to painting, allowing the various pieces and added detail to be seen more clearly. Top view shows a B&SR 30 foot boxcar and a Wiscasset 28 foot boxcar behind a Portland Products F&M #1 locomotive. 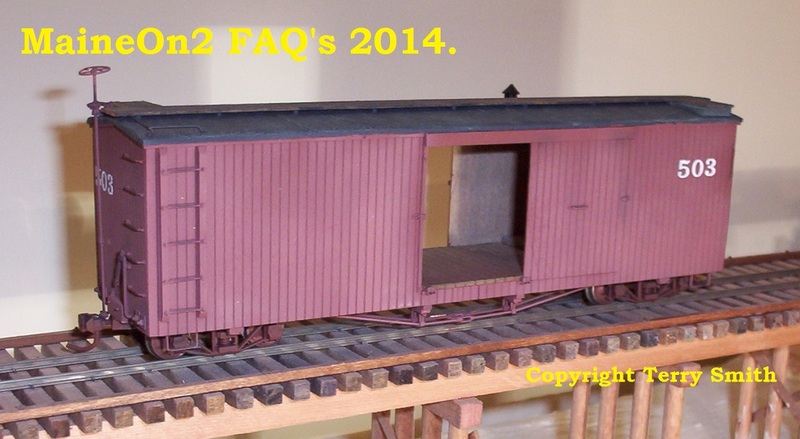 The bottom view shows a WW&FR #312 boxcar with the raised roof. 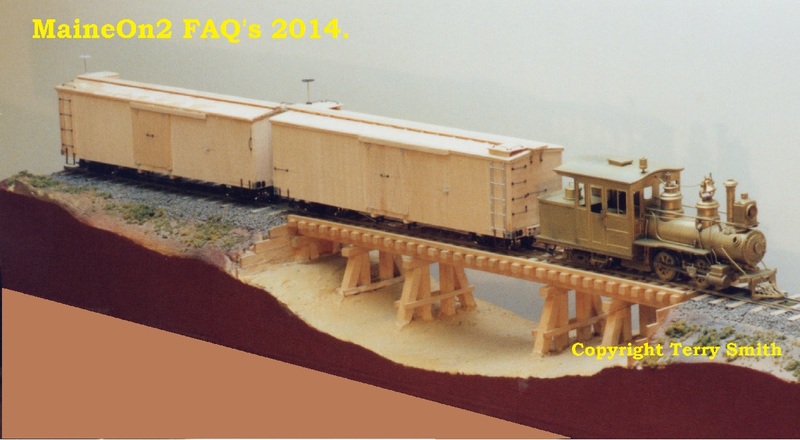 A Wiscasset #503 28 foot boxcar built from an SRCS kit by Terry Smith. Two views of SR&RL Snowplow # 513 built from an SRCS kit by Terry Smith. Wes Ewell writes;- First, there is no evidence of a concrete wall anywhere except at the far south end of the yard. This appears to be part of a foundation for a non-railroad building. Remains of a timber retaining wall still exist along the entire railroad frontage. This wall appears to have been built up of alternating layers of heavy round pilings. The layers that ran parallel to the shore look like they were originally 10-14 inches in diameter. These alternated with layers of piles that extended into the fill perpendicular to the shore, and look like they were larger, in the range of 12-16 inches diameter. In front of the coal dock there were also vertical pilings, that look like they might have been about 10 inches diameter when new, but are now badly eroded. These are spaced about five feet apart. All are tied together with steel rods. The wall is backfilled with rip-rap of rocks that are about 8 to 12 inches in largest dimension. The wall extends south from behind the engine-house to a point roughly in line with the north wall of the station, where it jogs out into the river about 30 feet then runs parallel to the river about 80 feet where the coal dock was. It then jogs out again, but this time at an angle about 20 feet out and 30 feet along the shore, then runs about 120 feet to the concrete wall at the south end of the yard. The wall from the second jog south appears to be newer and slightly different construction, with pilings both inside and outside the wall, and square timbers instead of round. 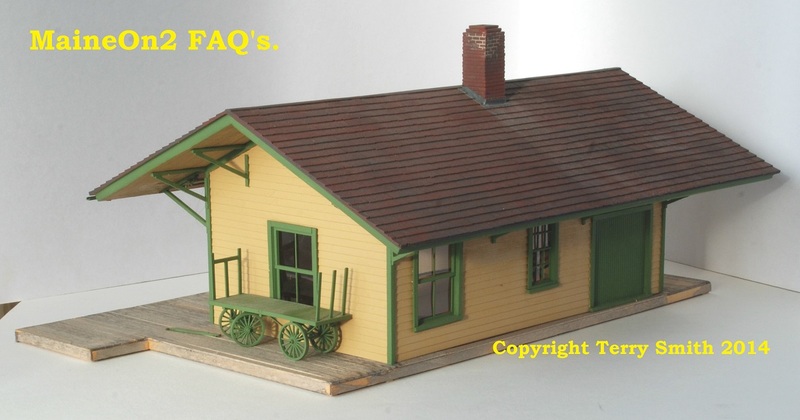 As for the coal shed, are you talking about the large coal dock or the smaller shed next to the engine-house? There were at least two large coal docks. The first one looked more like a barn, with ship-lapped board siding; the second looked more like a highway salt shed, with exterior timber framing and a nearly flat roof. There were also several small sheds next to the engine-house, that were moved over the years. In the course of my research on the engine-house for Bob Jones’ book, I found evidence that there were at least four different engine-house buildings over the years. This area was (and still is) subject to high-velocity floods every spring, which are often loaded with big chunks of ice and sometimes washed the buildings away.